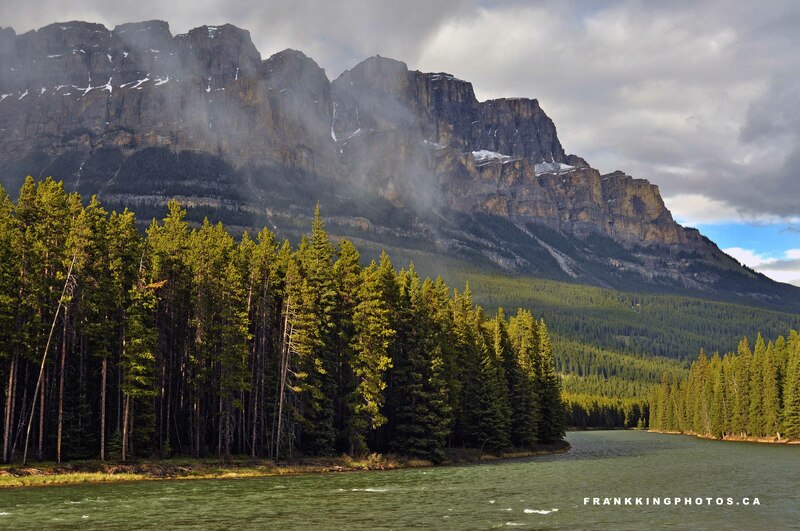 I photographed this along the edge of the Trans Canada Highway in one of Canada’s most iconic national parks. That’s Castle Mountain soaring above the trees. I could have gotten a higher perspective by crossing the road (away from the river) and climbing a hill, but no matter how I tried, I couldn’t keep the road and a few distracting shrubs along the river edge out of the composition. So I opted for this view instead, relying on the fabulous evening sky to make the picture memorable.